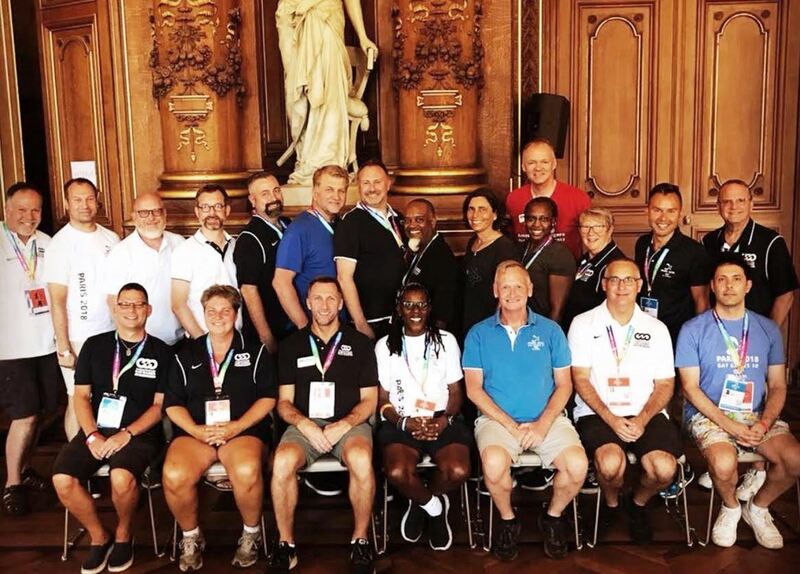 and a week before the 2018 Annual General Assembly. Board members not shown: Jeferson Sousa, Julie Williams, Ivan Yap, Shiv Paul, Reggie Snowden, Hlengiwe Buthelezi. The FGG Board is all-volunteer and terms are two years long. Each member pays their own way to attend annual and mid-year meetings. Elections are held annually, with half the Board members on the ballot each year. That assures continuity among the membership. For example, the two Co-Presidents are elected in alternate years. 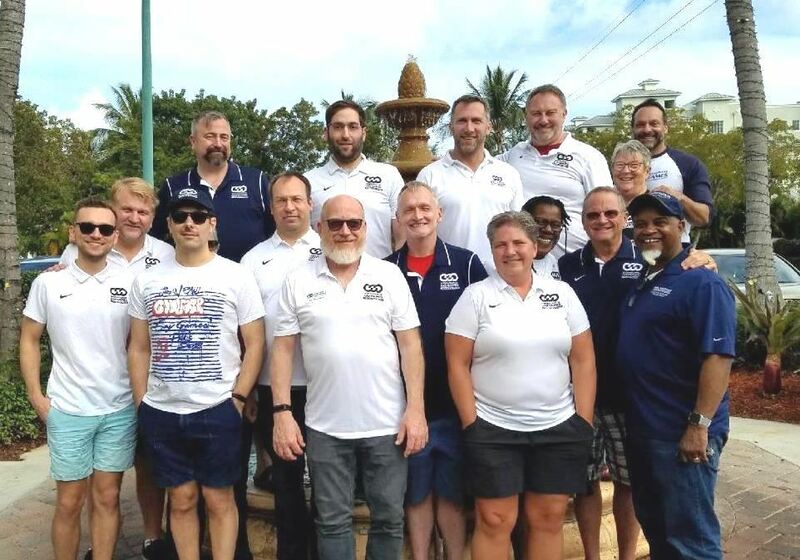 Federation of Gay Games Board, taken at the 2019 mid-year meeting held in Ft. Lauderdale, FL USA. Not present: Reggie Snowden, Ivan Yap, Hlengiwe Buthelezi, Doug Litwin, Armin Lohrmann, Mike Myers.